Northeast New Mexico is ranch country. A Spanish word “tranquillo” describes the ambiance here; it is soft, quiet, and romantic. Air is fresh as a sense of place flows gently over the land. Buttes of red sandstone rise like huge biscuits dotting the grassy rangelands. Black hills with jutting outcroppings of lava rock flank the llanos. The sun shines almost every day. In the evening, the azure skies bounce marshmallow clouds over sunsets of magenta, lavender, and orange. Dark night skies are filled with stars sparkling like diamonds. You can hear the quiet, owl, and coyote. The region is very remote. People in the area hold a deep connection to the landscape and most ranches are multi-generational. The area is part of the more than 17,000 square mile Canadian River watershed with tributaries like Ute Creek flowing through the native grasslands to the river. This very drought prone region lies close to the heart of the Dust Bowl and progressive ranch management practices are critical to maintaining vegetation and water flow. Ute Creek and many other tributaries of the Canadian River are severely infested with non-native, invasive salt cedar (tamarisk) and Russian olive. These plants were introduced as ornamental plants from Eurasia many years ago and there are now infestations along rivers and streams. Salt cedar plants consume significant amounts of water daily, outcompeting native vegetation and impacting water levels. In a region as dependent on limited water as northeastern New Mexico, the negative impacts of salt cedar have been enormous. 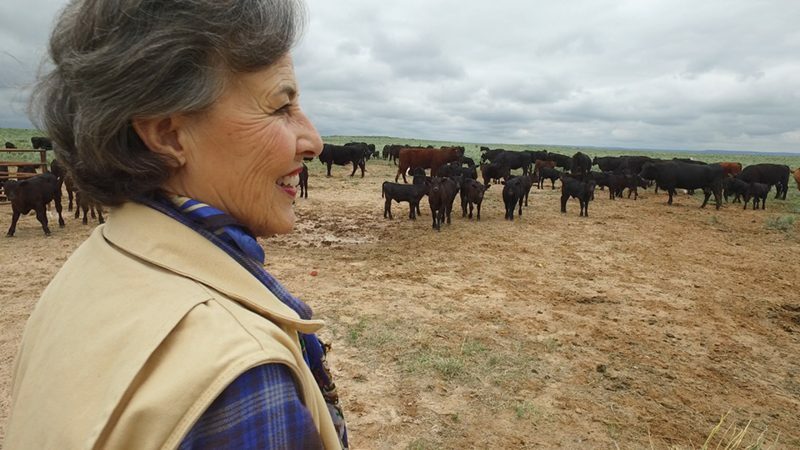 When Tuda Libby Crews and her husband, Jack, moved back to her family ranch in Bueyeros, NM, the ranch was in poor condition due to years of drought and neglect. 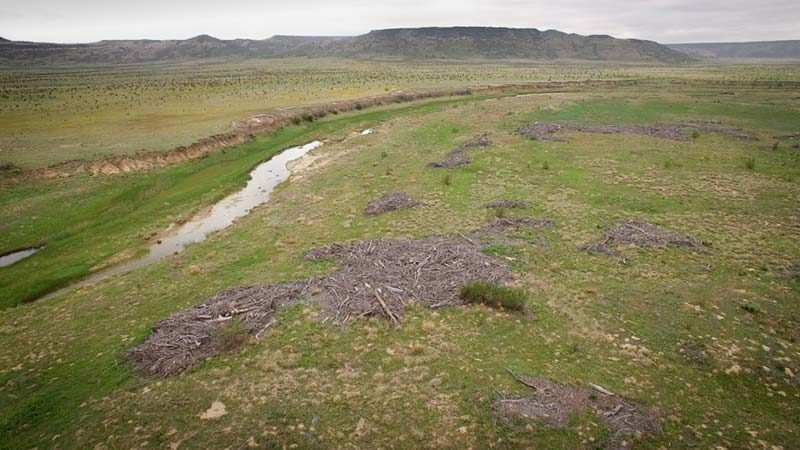 The Crews’ embarked on a daunting ranch restoration project with a focus on ten miles of Ute Creek’s salt cedar infestation. 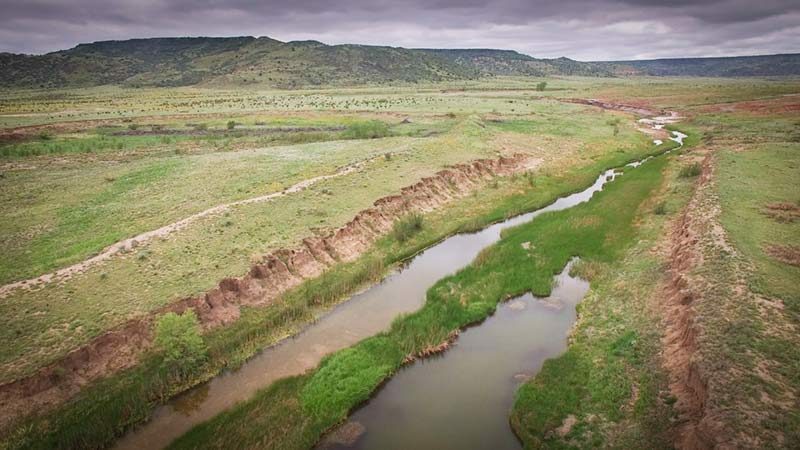 In 2004, the Canadian River Riparian Restoration Project (C3RP) began when the Ute Creek Soil & Water Conservation District was awarded a salt cedar eradication grant from the New Mexico Water Trust Board, and Ute Creek Cattle Company offered their ranch as the pilot project. The goal of the C3RP is to restore the riparian corridors of the Canadian River, both on the main stem and on its tributaries, to a healthy productive state that will provide native habitat for a variety of wildlife and improve water for communities, agriculture, and recreation throughout the course of the watershed. Salt cedar treatment in the watershed included herbicides, mechanical removal and biological control. Dead trees are piled in brush piles beneficial to wildlife or “masticated” using new heavy equipment that turn dead trees into biomass. In addition, efforts have been made toward revegetating and restoring key riparian corridors by fencing riparian areas and changing grazing practices. The C3RP working group is made up of eight Soil and Water Conservation Districts and a diverse group of agencies working closely with landowners in the watershed. The Natural Resources Conservation Service and the U.S. Fish & Wildlife Service’s New Mexico “Partners” program were instrumental in the process. Numerous state and local agencies are participating in the project including the New Mexico Department of Game & Fish, New Mexico Water Trust Board, New Mexico State University and many others. Non-profit organizations such as the National Wild Turkey Federation, The Nature Conservancy, Quivira Coalition, Ogallala Commons, Bird Conservancy of the Rockies, Audubon New Mexico, and more have also been involved. Since the projects began, the partners have aerially treated more than 30,000 acres of salt cedar and mesquite, adding another 11,000 acres that were hand-treated or masticated. This has resulted in a measurable reduction in salt cedar and a significant increase in water quantity and quality. 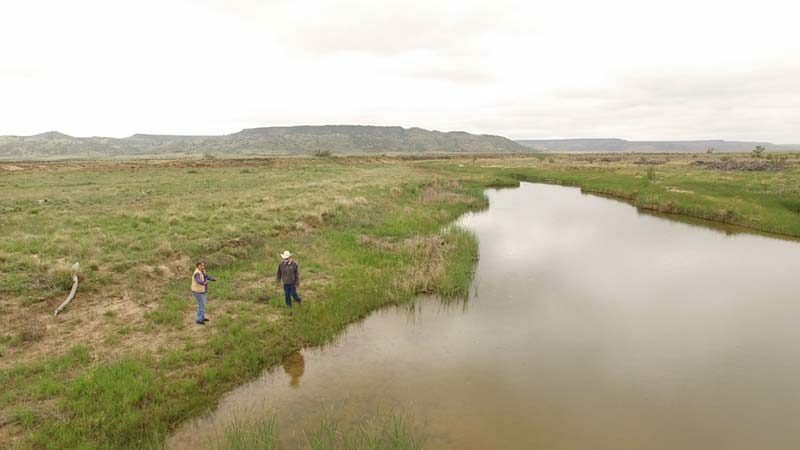 The Ute Creek Cattle Company reports that Ute Creek looks completely different – the creek now has water year round and bird life has increased from 17 species to over 100. Importantly, collaborative conservation efforts and partnerships continue to grow. 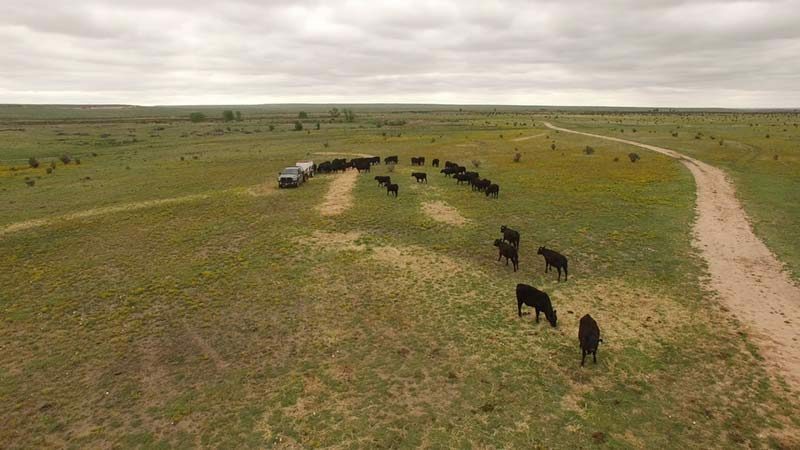 An increasing number of ranches are hosting workshops and educational opportunities to share information for adapting grazing systems and developing wildlife habitat. Visit Canadian River Riparian Restoration Project.